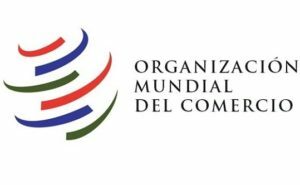 El 12 de abril la OMC celebró el trigésimo aniversario del Mecanismo de Examen de las Políticas Comerciales (MEPC), que en las tres últimas décadas ha contribuido a asegurar y facilitar el buen funcionamiento del sistema multilateral de comercio aumentando la transparencia de las políticas comerciales de los Miembros de la Organización. Noticia disponible sólo en inglés. On 12 April 1989, the Council of the GATT, the WTO’s predecessor, adopted a decision establishing the TPRM on a provisional basis. An agreement to establish the TPRM was one of the main outcomes of the successful completion of the mid-term review of the Uruguay Round. Annex 3 of the Marrakesh Agreement, agreed by Ministers in April 1994, finally placed the TPRM on a permanent footing as one of the newly-created WTO’s basic functions and, with the entry into force of the WTO in 1995, the mandate of the TPRM was broadened to cover services trade and intellectual property. The purpose of the TPRM, as stated in Annex 3 of the Marrakesh Agreement, is to “contribute to improved adherence by all Members to rules, disciplines and commitments made under the Multilateral Trade Agreements and, where applicable, the Plurilateral Trade Agreements, and hence to the smoother functioning of the multilateral trading system, by achieving greater transparency in, and understanding of, the trade policies and practices of Members”. As a result, a total of 485 reviews have been conducted under the Trade Policy Review Body over the past 30 years, covering 155 of the 164 WTO members. Australia, Morocco and the United States were the first three members subject to this peer-review and transparency process, and their Trade Policy Review (TPR) reports were distributed on 16 November 1989. More information here. Since 1989, the United States is the WTO member that has been subject to the most trade policy review (14 times), followed by the European Union and Japan (13 times). At the other end are members like Samoa, which joined the organization in 2012 and underwent its first WTO trade policy review on 10 and 12 April 2019, coinciding with the 30th anniversary of the TPRM. Following the global financial and economic crisis that began in 2008, the TPRM also started working on two series of trade monitoring reports: WTO-wide reports on trade-related developments covering the whole WTO membership and observers; and joint reports with the Organisation for Economic Co-operation and Development (OECD) and the UN Conference on Trade and Development (UNCTAD) on trade and investment measures taken by G-20 economies. Every six months, these trade monitoring exercises provide WTO members and observers with the latest trends in the implementation of a broad range of policy measures that facilitate or restrict trade flows. A dedicated webpage has been launched to provide more information on the TPRM and on a high-level Conference planned for the end of November 2019 to commemorate this event. The conference will focus on the discussion of the role of the TPRM in ensuring the effective functioning of the multilateral trading system, particularly through providing transparency, accountability and surveillance at the global level.